Myanmar, fast becoming the most sought-after and talked about South East Asian destination, will become a key feature of Coral Expeditions' new Asia itineraries during the 2016-17 wave season. The pioneering cruise line recently launched 7 unique itineraries exploring the diverse and culture rich coastlines of South East Asia on their flag ship Coral Discoverer. Keeping with Coral Expeditions' highly-personalised style, activities and off-shore excursions are suitable for guests of all ages and fitness levels, and slower-paced alternatives are always catered for. These voyages will be popular with Coral Expeditions' long-standing clientele in Australia, Europe and North America. The jewel in the crown is the 12 day exploration from Singapore to Yangon (or vice versa) of the enchanting coastlines of Malaysia, Thailand and Myanmar, accessing places only Coral Expeditions' small ships can. 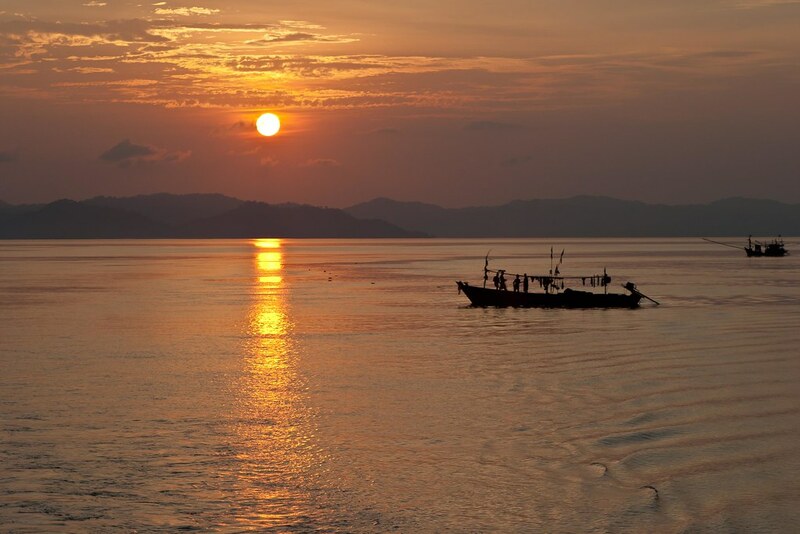 The highlight of this expedition will be a full 6 out of the 12 nights spent exploring the remarkable coastline of Myanmar, incorporating the Irrawaddy River and the Mergui Archipelago in the Andaman Sea. Two days will be spent in the Mergui Archipelago, a stunning marine destination which has only been open to tourists since 1996. The area is home to some 800 islands and is inhabited by 'sea gypsies', otherwise known as Moken. At Mawlamyine, the former British capital of Burma, guests will take ground transport to Thanbyuzayat to visit the Burma World War II Railway Memorial, one of three sites associated with the infamous 'Death Railway' constructed by the Japanese military. The Thanbyuzayat cemetery at the Burmese end of the railway is 370km from Yangon and 65km from Mawlamyine, and has 3,770 graves including 1,355 Australians, 1,588 British and 621 Dutch. Fresh off the back of his reconnaissance trip to Myanmar, Coral Expeditions' lead Expedition Leader Steve Cox is excited to share a host of hidden gems with his guests. 'Myanmar is still a vastly unexplored country by tourists; like Vietnam a decade ago it's one of those 'get-there-before-everyone-else-does' destinations', said Cox. 'As with any of our expeditions we look for places off the beaten track to give our guests exclusive insights into the culture, history and magic of each destination, and Myanmar promises to deliver just that,' he said. Coral Expeditions' South East Asian itineraries will begin immediately after Coral Discover undergoes a significant refurbishment which adds an entirely new level of accommodation – Bridge Deck Balcony Staterooms – as well as upgraded interiors, Sun Deck bar-lounge and exercise equipment. 'It is truly an exciting time for Coral Expeditions as we will venture into new waters with our freshly refurbished flagship,' said Group General Manager, Mark Fifield. Recognised as Australia's longest established and most awarded expedition cruise operator, Coral Expeditions was started in 1983 in Queensland, Australia, by a fisherman-entrepreneur with a passion for life at sea. Starting with environmentally-sensitive cruises on the Great Barrier Reef, 32 years later the fleet has grown to three ships that include two 35-metre catamarans, Coral Expeditions I and Coral Expeditions II, and the state-of-the-art flagship Coral Discoverer. Headquartered in Cairns, Coral Expeditions offers expedition cruises to the World Heritage-listed Great Barrier Reef, the Kimberley region, Cape York and Arnhem Land, Papua New Guinea, Indonesia, the Islands of the South Pacific, Tasmania, and now South East Asia.